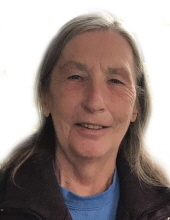 Kathy M. Waters, 71, of Waterloo, died Saturday, February 2, at The Suites at Western Home Communities. She was born August 25, 1947, in Oelwein, the daughter of George and Eleanora Boleyn Beahr. She married Thomas Boose in 1963. They later divorced. She then married Larry Barron in 1979. They later divorced. She then married Daryl Waters in 2004. They later divorced. Survived by: her mother, Eleanora “Nora” Beahr of Des Moines; five children, Thomas (Linda) Boose of Waterville, Scott Boose of Elk Run Heights, Tina Remetch and Tammy levy, both of Waterloo and Michael Barron of Waterloo; two brothers, Ronald (Linda) Beahr of Des Moines, and Richard (Sylvia) Beahr of Ennis, Tex. ; 15 grandchildren and 12 great-grandchildren. A public visitation will be from 3-6:00 p.m. Thursday, February 7, at Hagarty-Waychoff-Grarup Funeral Service on West Ridgeway where there will be a 5:00 p.m. time of sharing. To send flowers or a remembrance gift to the family of Kathy Marie Waters, please visit our Tribute Store. "Email Address" would like to share the life celebration of Kathy Marie Waters. Click on the "link" to go to share a favorite memory or leave a condolence message for the family.